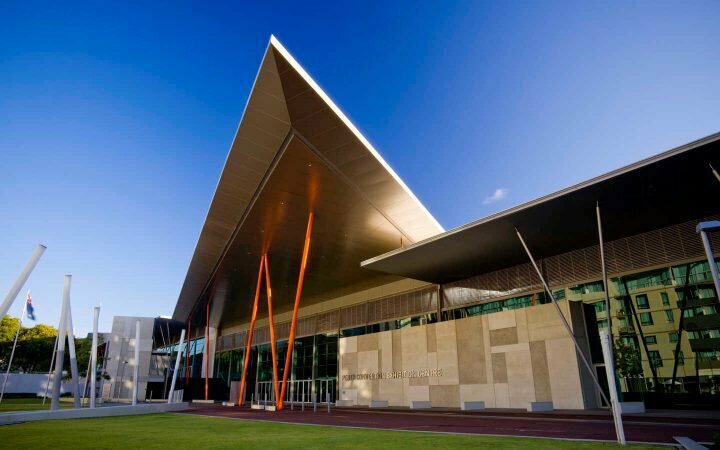 The RANZCO 2017 Congress will be held at the Perth Convention and Exhibition Centre (PCEC) in the heart of Perth City. This Premier Events Destination is Western Australia’s only dedicated and purpose-built convention, exhibition and meeting venue. The PCEC features a striking unique design, leading technology and is situated on the beautiful Swan River near the Perth CBD where guests can enjoy easy access to the city centre and nearby attractions. The Perth Convention and Exhibition Centre recognises the importance of sustainability of the environment and supporting the community with a commitment to reducing the environmental impact and making a positive contribution to the local community. Perth is accessible by land, sky, rail and sea through a vast network of travel options. The city and surrounds are easy to navigate with well signposted roads and an excellent public transport system. Please review the below information and click on the links to find out all there is to know about getting there and around. Perth Airport is conveniently located just twelve kilometres from the Perth CBD and offers a range of services for travellers including: car rental, foreign exchange, wireless internet and more. For further information on Perth Airport visit their website. 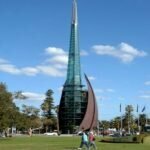 Perth is easily accessible by air from around Australia, overseas and from many locations within the State. Perth’s domestic and international terminals are located only 20 minutes from the heart of Perth city. Known as one of the world’s greatest train journeys, the legendary Indian Pacific rail service operated by Great Southern Rail with provide you with the trip of a lifetime. From coast to coast, this three-day trip departs from Sydney, Melbourne or Adelaide and journeys through vineyards, river lands, the both amazing and expansive Nullarbor Plain and plenty more that the beautiful country of Australia has to offer. There are clearly sign-posted, well marked and serviced wide roads in Western Australia’s north and south. Townships and roadhouses are also regularly spaced throughout. Speed limits are 110 kilometres per hour. Whether you are walking, cycling, driving or using public transport, the city provides safe and accessible ways to move in, out and around the city. 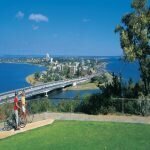 Perth is situated on the banks of the Swan River on Australia’s West Coast. The city of Perth is a hive of activity with many restaurants and bars, beautiful beaches, natural parklands, shopping and cultural spaces and a relaxed outdoor lifestyle with plenty of things to see and do. And best of all, it’s all on offer within a short distance of the city centre. Rottnest Island sits just offshore from Perth. It is a protected nature reserve, with white sand beaches and secluded coves. Here you can enjoy some of Australia’s finest swimming spots, snorkel trails and surf breaks. It is also home to the world famous quokka, a small wallaby-like marsupial. 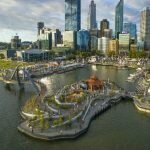 Elizabeth Quay features ultra-trendy new cafes, bars and restaurants for those looking to get the most out of their dining experience. There’s also a host of activities on offer at the Quay including cruises, gondola rides and sea plane rides. The Bell Tower includes the twelve bells of St Martin in the Fields, which are recorded as being in existence from before the 14th century and recast in the 16th century by Queen Elizabeth I. They are one of the few sets of royal bells and are the only ones known to have left England. Still operating in our original heritage premises in the east end of the city, The Perth Mint is a premier tourist destination giving visitors the rare opportunity to discover the magic, allure and wonder of gold through our unique combination of attractions, exhibitions and live demonstrations. Located amongst the rolling hills of Yokine, the club is only 10 minutes from the city centre. 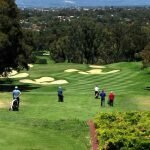 The beautiful Tudor clubhouse overlooks superb fairways, greens and a picturesque lake, and also boasts views to the city and Darling Ranges. Spectacular views abound from the 12th tee, which is the highest point on the Swan coastal plain. 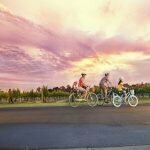 The Swan Valley Heritage Cycle Trail is a series of signs that interpret rich history, interesting characters and natural elements so you can appreciate the unique and special place that is the Swan Valley. 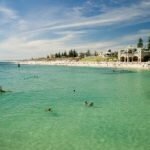 Cottesloe Beach is by far the most popular beach in Perth. 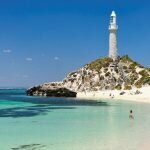 Cottesloe has clean white sand and beautiful clear turquoise water, but what makes it stand out from the crowd are the grassed terraces and park behind the beach, the tall shady Norfolk Island pine trees and lively atmosphere. 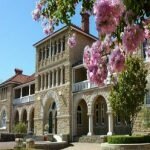 Click here to view the Perth Convention Bureau’s top attractions to visit. For further information on the many sites and places of interest to visit in Perth and Western Australia, visit the Tourism Western Australia website or the City of Perth website.